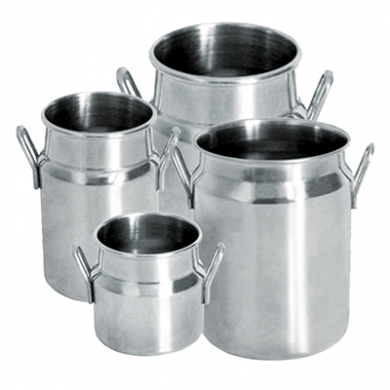 Delightful high quality stainless steel mini 470ml milk churn - ideal for serving milk or condiments. Novelty mini milk churn design. Also ideal for serving custard with desserts. NOTE: This product is for serving purposes only - do not heat in an oven or on a hob.